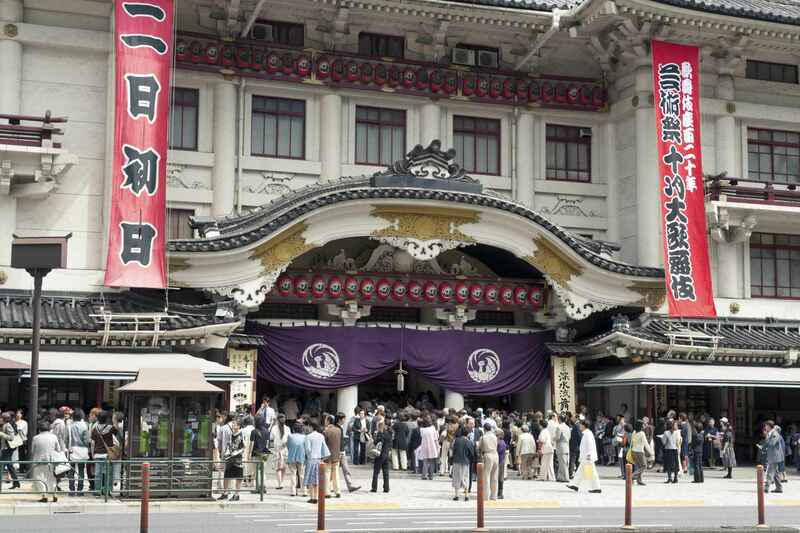 Kabuki-za (歌舞伎座) in Ginza is the principal theater in Tokyo for the traditional kabuki drama form. 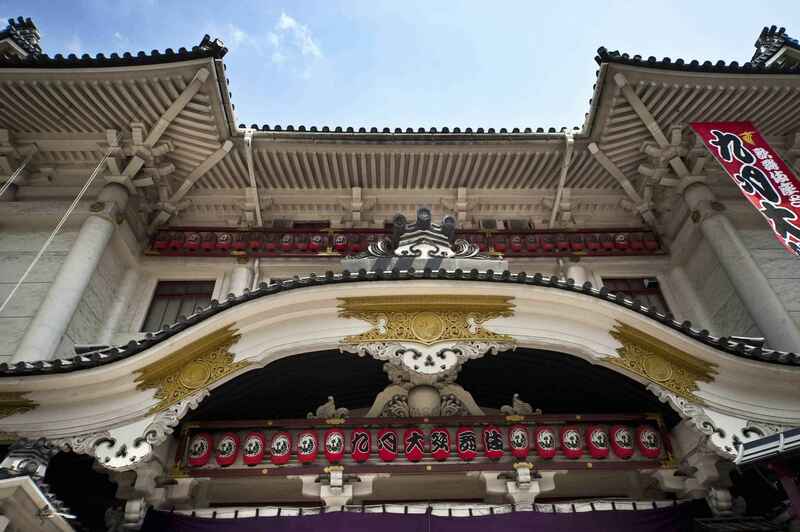 The style in 1924 was in a baroque Japanese revivalist style, meant to evoke the architectural details of Japanese castles, as well as temples of pre-Edo period. This style was kept after the post-war reconstruction and again after the 2013 reconstruction. Inside, with the latest reconstruction the theatre was outfitted with four new front curtains called doncho. 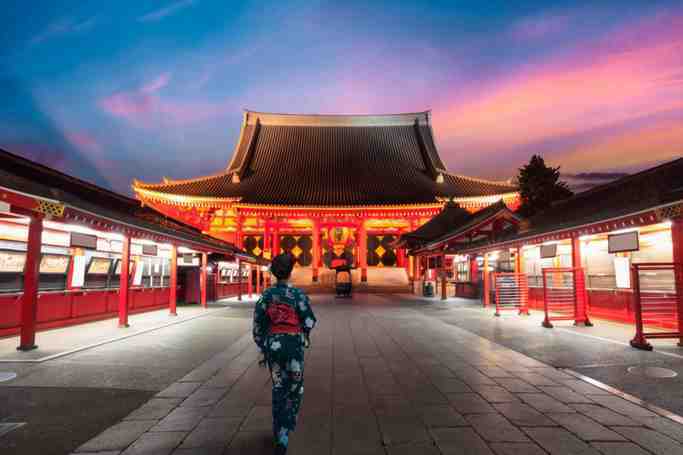 These are by renowned Japanese artists in the Nihonga style and reflect the different seasons.